Noodle/Bones – Page 2 – One man. One woman. One dog. One epicurean search for local, sustainable, organic, seasonal cuisine. With a little help from their friends along the way. The markets in my area don’t sell dried or powdered jalapeños. I have no idea why. 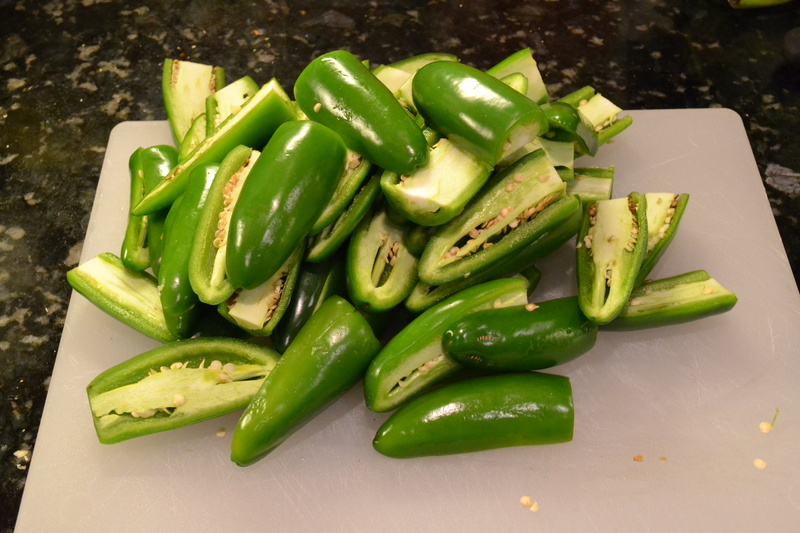 Jalapeños are my favorite pepper. So much so that I am painstakingly press function alt 164 on my numpadless laptop keyboard each time I put the ñ in the word. When I wanted to add some jalapeño powder to my rib rub recipe I had to make it myself. 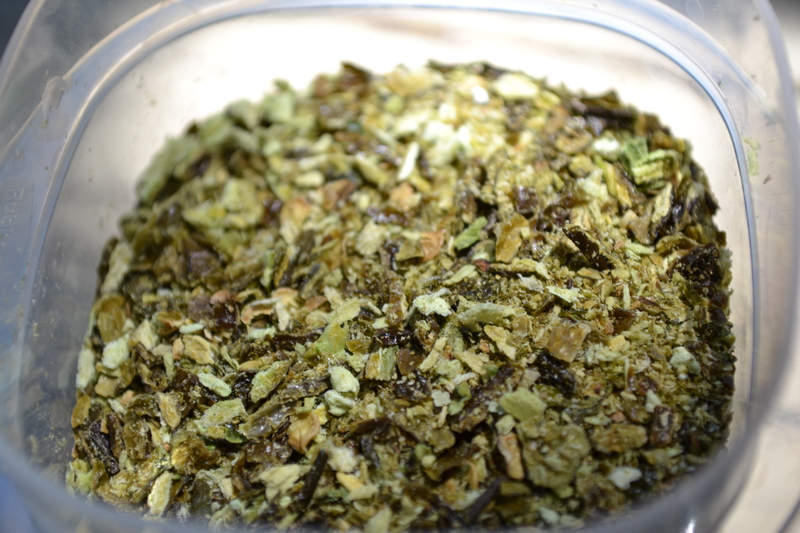 It isn’t particularly difficult so long as you have a food dehydrator. 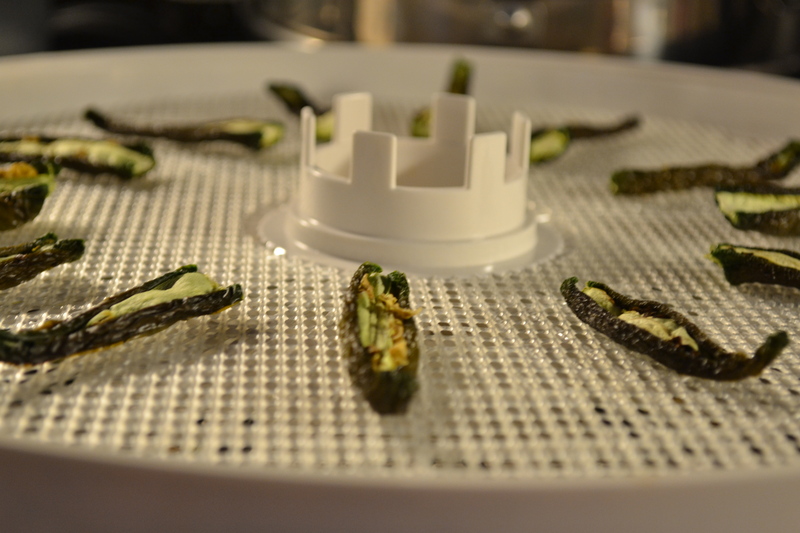 It can be done in open air or the oven too, but I have a dehydrator. 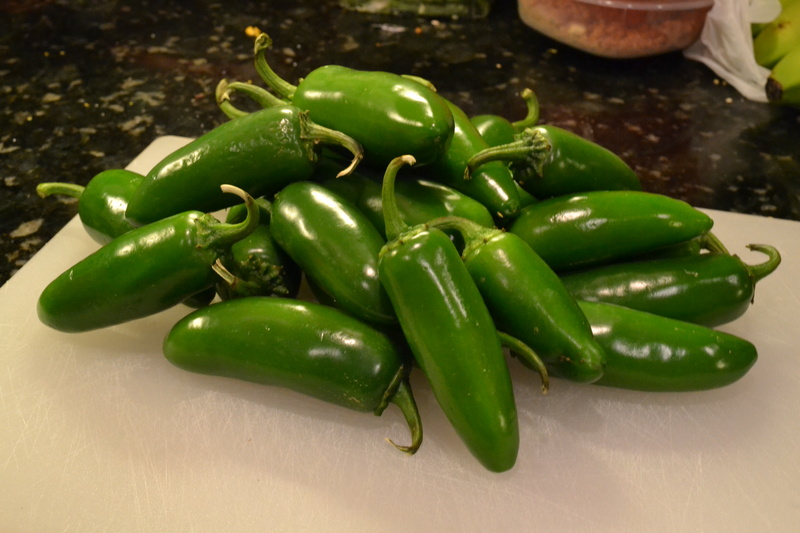 I bought a bunch of jalapeños from the market knowing they would shrink down to nothing. 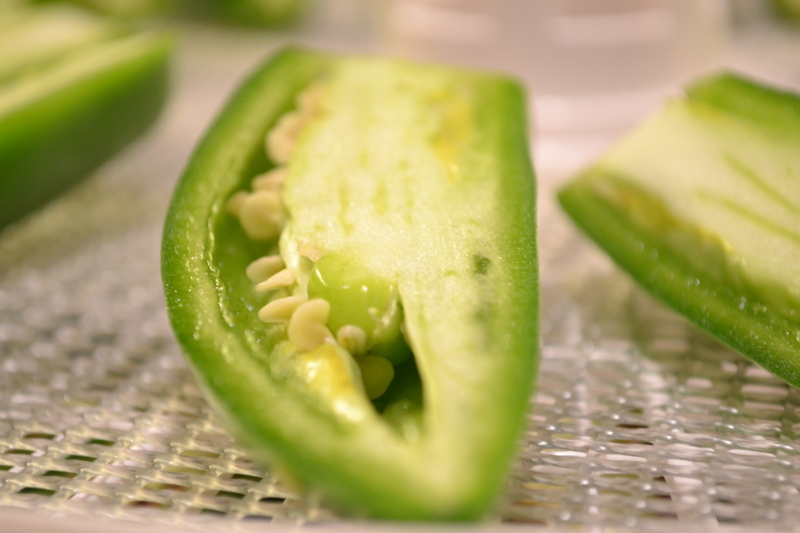 Now, cut the stems off the tops of the jalapeño and split the pepper horizontally. Then place it on the dehydrator and set to 140ish degrees Fahrenheit. Now wait almost a whole day, put some in a grinder and let ‘er rip. Now take a pinch and put it in your mouth. What just happened?! Get the milk! All that mild jalapeño heat reduced down to a concentrated size and just about burned my mouth off. Now let’s take out those seeds and veins. But first we need to put on some gloves or a finger in the eye later is going to burn a hole through my brain. Good, now let’s put those in the blender. Take a pinch and put it in your mouth. You have got to be kidding me! Was all that Mexican food in my 20’s for not?